William A. “Bill” Hon was born on Nov. 28, 1925, in Boise, Idaho, to Joseph Joshua Hon and Ann Thorpe Hon. Bill passed away peacefully at his home in Boise, surrounded by family and three beloved pups, on Jan. 15, 2014. Bill attended Longfellow Elementary and Boise High School. He then served in the 10th Mountain Ski Troops in northern Italy during World War II, where he earned the rank of sergeant and was awarded the Purple Heart. 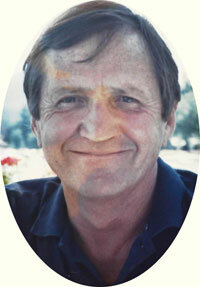 Following his service, Bill gradu-ated from Stanford University. He then returned to Boise to begin his long and successful career in commercial real estate developing and investments, also serving on the board of directors of First Interstate Bank, where his expertise in the commercial real estate community was highly val-ued by the leadership at the bank. Bill also chaired the Haugse-Cossey Educational Foundation, an organization created to assist Idaho youths with financial needs to attend college. Bill and his wife Penny also lived in Sun Valley, where he was active with Special Olympics activities, and skied almost daily. His great loves were his skiing, sailing, his beloved children, grandchildren and pups. He and Penny were blessed with the opportunity to travel the world over throughout their 30 years together; from bare-boat sailing to grand cruis-es, ski trips, African safaris and more. Bill’s dry sense of humor and that special twinkle in his eye, right till the end, will be so missed by all of us who knew and loved him. He will be remembered as a devoted father, husband and friend. Bill is survived by his wife, Penny Hon; sons, Bill Galey Hon and Mark Scott Hon; daughter, Margo Ann Hon; brother, Roland Hon; step-children, William Carter Dyal and Virginia Dyal; seven grandchildren; one great-grand-son; and numerous nieces and nephews. In lieu of flowers, contributions are suggested to the Haugsey-Cossey Foundation, P.O. Box 828, Boise, Idaho 83702 or to the Special Olympics, Idaho Chapter, 199 East 52nd St., Garden City, Idaho 83714. A small family gathering to cel-ebrate his full life will be held at home. Condolences and memories may be shared with the family on Bill’s memorial webpage at www.summersfuneral.com.